Kampala, 17th November 2014:- Uganda has been declared free of Marburg outbreak. At a press-briefing that took place at the Uganda Media Centre, the Minister of State for Health in charge of Primary Health Care, Hon. Sarah Opendi said, “The Marburg outbreak in Uganda has been controlled and we thank development partners for their tireless efforts in providing technical advice." Hon. 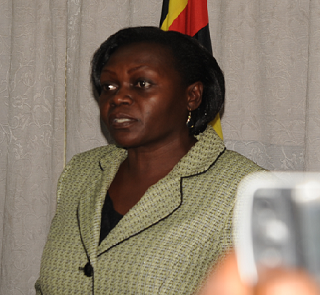 Opendi also said that there should be vigilance among the public and health workers to avoid further risk. She said that the Ministry of Health will continue to sensitize the public on preventive measures and to emphasize the risk of wild-life-human transmission by avoiding contact with fruit bats, reducing the risk of human-human transmission in the community arising from direct or close contact with infected patient. She further said that gloves and appropriate personal protective equipment should be worn when taking care of ill patients at home. 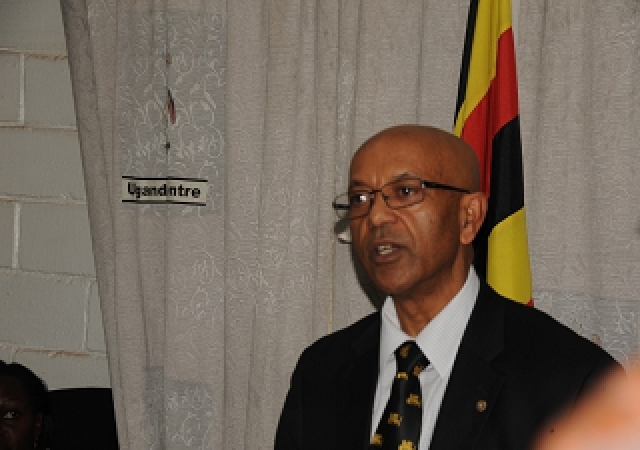 The WHO Country Representative, Dr. Alemu Wondimagegnehu congratulated the government on being able to control the disease. He also thank the leadership of the Ministry of Health, the health workers that participated in the response efforts and the media for a job well done. He, however, advised the public not to relax because the threats is not yet over. “Exercise caution and follow the guidelines to prevent the viral disease. The media too, should continue in your effort to increasing public awareness,” he said. Dr. Alemu also thanked the all development and implementing partners for their engagements and continuous assistance provided in their different capacities to the success. The outbreak of Ebola in West Africa and Marburg in Uganda saw the country increase vigilance in dealing with these diseases. The public health screening Centre at the airport was well equipped and staffed. Isolation centers were set up in Entebbe, Mpigi, Mulago and Kasese to facilitate isolation, management, and monitoring of suspected cases. Marburg is spread through contact with body fluids like blood, vomitus of those affected. Marburg can also be transmitted through eating fruit-bats which are the biggest reservoirs of the Marburg Virus and eating monkeys which get sick from the infection and can transmit it to humans. It is to be recalled that, laboratory tests done at Uganda Virus Research Institute confirmed the Marburg case in Uganda on 4th October, and since then there has not been any new confirmed case. The one case was a 30-year-old male Radiographer, who was originally working in Mpigi District Health Centre IV (HCIV), Mpigi Town Council as Radiographer but had been recruited by Mengo Hospital – a Private not for Profit. He started feeling unwell on 11-September-2014 while on duty at Mengo Hospital and travelled back to Mpigi Health Centre IV on 18-September 2014 to seek treatment since he felt more comfortable with a facility that he had worked with for a long time and had friends to take care of him while under medication. He was later referred to Mengo hospital where he died on 28th September; he was buried in Kasese on 30th March 2014. Ministry of Health puts the number of contact cases to 197 that were under follow up. Blood samples of 18 suspected cases including the brother of the deceased that had shown symptoms of the disease, turned out negative. On 10th November 2014, the country had completed the 42 days of intensive surveillance and situational assessment to detect new Marburg case and found none. According to the WHO guidelines a country that declared Viral Hemorrhagic Fever should wait for 42 days after discharge or death of the last confirmed case, with good quality surveillance or vigilance before declaring the outbreak over.